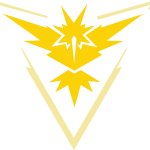 ﻿ Pokemon GO Appraisal | Team Leader Phrase For IV Ranges & Stats. In the Update Patch 0.35.0, Trainers will be introduced to a new mechanic. 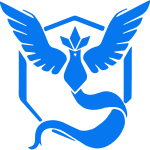 Pokemon GO Appraisal will allow players to learn additional information about their Pokemon from their Team Leader Spark, Candela or Blanche. Step 1: Access Your Main Menu. Step 2: Select your Pokemon Inventory. Step 3: Select an Individual Pokemon. Step 4: Select the Menu in the Bottom Right Corner of Your Screen. 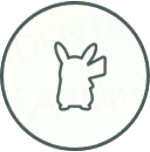 Step 5: Now Select Appraise, your Team Leader will begin his/her Analyze of that Pokemon. Below we list each Team Leader Phrases they will use to conduct their analyze of the Pokemon. 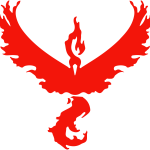 You find out lots of useful information about your Pokemon such as Stats, IV Rating, and even Size. The Team Leader will also point the Best Stat (Attack, Defense, Stamina) that Pokemon has. I'm blown away by its stats. WOW! Stat with a bonus (IV) value of 15, the maximum. It's got excellent stats! How exciting! Stat with a bonus (IV) value of 13 - 14. Its stats indicate that in battle, it'll get the job done. Stat with a bonus (IV) value of 8 - 12. Its stats don't point to greatness in battle. Stat with a bonus (IV) value of 0 - 7. Its stats exceed my calculations. It's incredible! Stat with a bonus (IV) value of 15, the maximum. I am certainly impressed by its stats, I must say. Stat with a bonus (IV) value of 13 - 14. Its stats are noticeably trending to the positive. Stat with a bonus (IV) value of 8 - 12. Its stats are not out of the norm, in my opinion	 Stat with a bonus (IV) value of 0 - 7. Its stats are the best I've ever seen! No doubt about it! Stat with a bonus (IV) value of 15, the maximum. Its stats are really strong! Impressive. Stat with a bonus (IV) value of 13 - 14. It's definitely got some good stats. Definitely! Stat with a bonus (IV) value of 8 - 12. Its stats are all right, but kinda basic, as far as I can see. Stat with a bonus (IV) value of 0 - 7.